How do you connect Urbana parks, homes, businesses, Carle Foundation Hospital, and the University of Illinois? The RPC is about to find out. 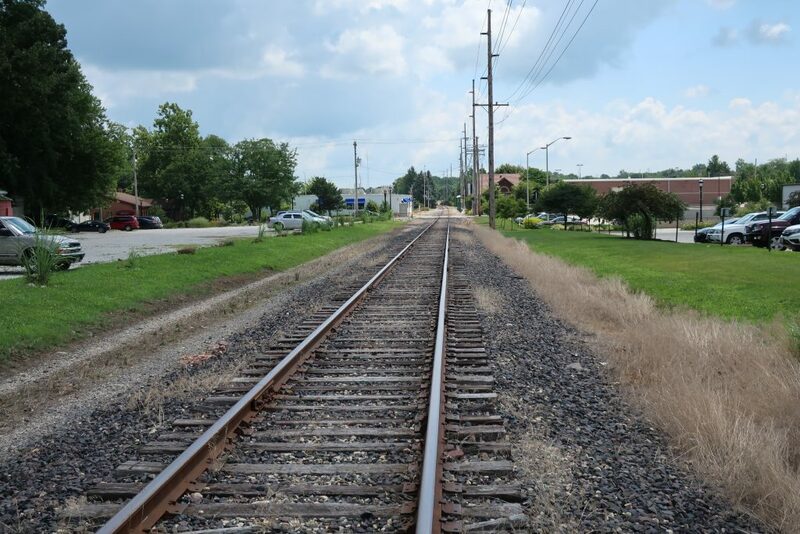 As announced on Monday, July 16, federal funding will allow the RPC to study a proposed extension of the Kickapoo Rail Trail (KRT). The $100,000 in federal funding was approved via the Illinois Department of Transportation Statewide Planning and Research Program, with the RPC writing the funding request. The RPC will conduct the planning study with participation by local stakeholders. 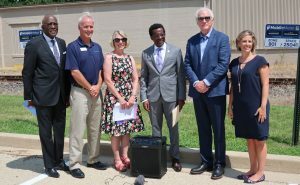 The announcement in downtown Urbana on July 16 included comments from Urbana Mayor Diane Marlin, RPC CEO Dalitso Sulamoyo, Carle president and CEO James Leonard, Urbana Park District executive director Timothy Bartlett, Champaign County Forest Preserve District Board of Commissioners vice president Sarah Livesay, and University of Illinois chancellor Robert Jones. The study area reaches from the current terminus of the KRT, near Walmart in east Urbana, and extends west to Lincoln Avenue. Carle will provide a $25,000 local match. Marlin recognized Carle for its support and thanked the Urbana Park District and the RPC for their efforts to bring the stakeholders together and apply for the federal funding. Expected to last approximately two years, the planning efforts will result in a final report from the RPC that includes recommendations and design concepts. The KRT’s extension would enhance connectivity within Urbana and give people better access to parks, programs, and other recreational amenities. It is also expected to greatly improve access to downtown Urbana restaurants, activities, and services for those along the University Avenue corridor. I just cannot wait for the study to be completed so we can get this EXTENSION STARTED!! What great news!! Thanks, CCRPC, Carle, CCFPD, UPD and Mayor Marlin of the City of Urbana! !